Specifically, even if I can’t say what the essential elements of a fairytale are, I think I can say that many of the things people think are essential are not. One of the most common beliefs is that a fairytale must start “once upon a time” and finish “happily ever after”, however in a number of fairytales this arc is absent. Indeed, the idea that the characters in fairytales (or at least the main characters) must end up happy is quite often violated in alarming, tragic, and disturbing ways. I would point to three tales out of the original Grimm Brothers’ collection to prove this point. Two extreme examples of not just tragic, but grotesque, endings would be The Stubborn Child and Mother Trudy, both brief stories in which young children, through no real fault of their own except perhaps the fault of having their own minds, are brutally killed. In these stories there is no redemptive moment or fairy intervention, just a tragic end to a brief life. A more well known story that, at least in my mind, violates the “happily ever after” rule is The Fisherman and His Wife. In this story a fisherman catches a fish and is granted a wish for letting it go again. 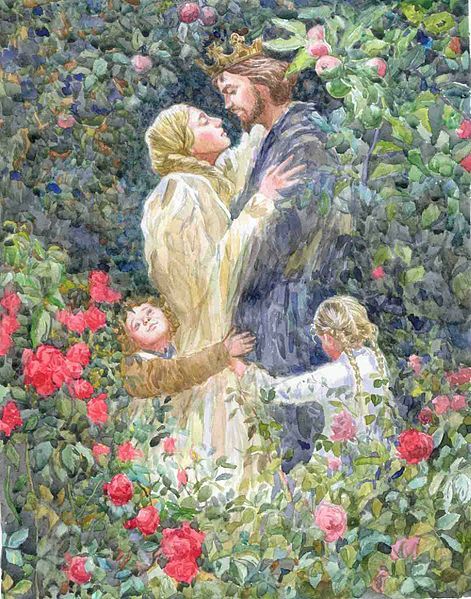 Over the next few days the fisherman’s wife asks for ever grander and grander homes and titles until finally she asks to be God at which point the fisherman and his wife are returned again to the sty in which they had been living at the beginning. Again, in this story there is no final rise in fortune or happily ever after moment, just a return to misery and poverty. Once upon a time there lived a king who had three sons. Two of them were sharp and clever, but the third didn’t have much to say, and he was considered dim-witted. Everyone called him Dummy. I will leave you to guess which of the three brothers ends up with the throne. Nor is this the only use of a literal “Dummy” in fairytale. The hero of The Golden Goose is also called Dummy, who is “forever belittled, mocked, and disdained.” And, these are not the only examples of the dim-witted and undeserving winning the day. The hero of The Golden Bird is not only a fool, but also a thief and a rogue (he forcibly kidnaps a princess), and yet in the end he wins the jackpot: riches, the princess and the throne. The fact is, despite the common vision of the fairytale hero being dashing and handsome, in truth such heroes show up very rarely, and it is the guileless and often foolish anti-hero that more often wins the day. Finally, most people earnestly believe that fairytales are inherently moral, or at least that they tell a “moral”. In other words, that good is generally rewarded and evil is generally punished in these stories. After all, this is why we read them to our children. Right? It is cruel and pointless, and, even if in the end she ends up happily married to one of the princes, her punishment can serve no moral purpose except perhaps to teach women that they should not be too beautiful. (A proposal I cannot agree with.) 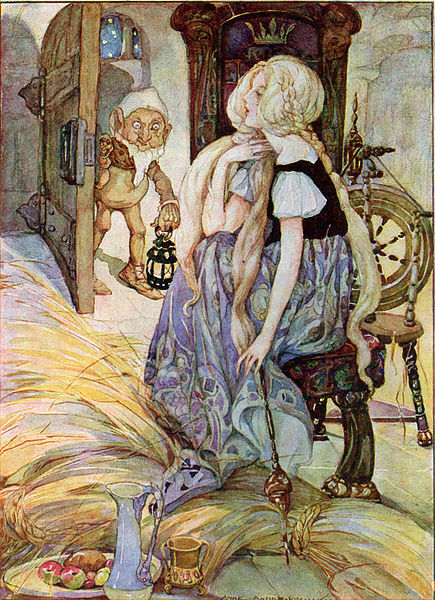 More famously, the classic story of Rumpelstiltskin ultimately rewards a farmer, who is boastful and vain, and his daughter for deceiving the king into thinking she can spin straw into gold. And, although he is not very sympathetic, what of poor Rumpelstiltskin? The gnome that actually does the work of spinning straw into gold is cheated of his price–merely the girl’s first child. (Okay, maybe he was deserving of punishment after all). However, even if Rumpelstiltskin is deserving of punishment, again there can be no moral lesson in rewarding the objectively bad behavior of the farmer and his daughter. So, we know some of the things that a fairytale does not have to be—they do not always end happily ever after, or reward the deserving, or teach us a moral truth—but the original question remains unanswered. Perhaps there is no answer. Perhaps fairytales are simply stories, entertainments, that fit no single mold, but onto which we have placed a label to recognize their enduring character and to signify their importance to us. And so, we can add a Princess Bride or a Lord of the Rings or an Into the Woods into our lists of fairytales, not because they borrow certain elements from the fairytale archetype (though they all do), but because we value them so highly. Come See Me at San Diego Comic Con! Big news here from the land of Charming: one of my alter-egos, John Peck, has been invited to speak on a panel at the San Diego Comic Con (SDCC) about fairy tales. He joins some really talented authors, including Shannon Hale (creator of the Ever After High series) and another Voyager Impulse author, Katherine Harbour (author of Thorn Jack), among others, to discuss how we go about reimagining well-known fairy tales into new stories. If you are going to be at SDCC stop by, and if you let us know in advance, John will make a point of looking out for you. As always, we live for our readers. Descriptions: Toto, I’ve a feeling these aren’t our typical fairy tales… From cyborg Cinderellas to swashbuckling pirates, fairy tales are just full of possibilities for retelling and reimagining. A fantastic line up of authors will discuss how they take very well-known stories (such as Rapunzel, The Wizard of Oz, Tam Lin) and remix them for a new audience, and how they create their very own fairy tales! Moderated by Shannon Hale (Ever After High series), this panel featuring Marissa Meyer (The Lunar Chronicles), Katherine Harbour (Thorn Jack), John Peck (Charming Series), Cornelia Funke (Mirrorworld Series), Tony DiTerlizzi (Search for WondLa), Ben Tripp (The Accidental Highwayman), and Danielle Page (Dorothy Must Die) will give insight to the fairy tales of old, and new!